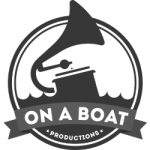 On a Boat Productions – Jonason’s new CD on BIS just released! 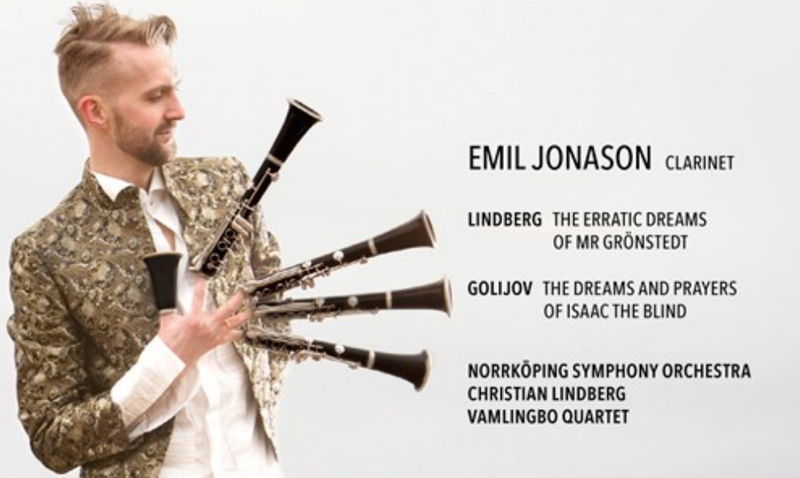 Finally the Big Day has arrived – the day when you can pre-order Emil’s brand new album! 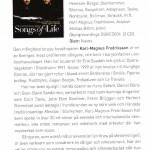 Released on BIS, and recorded with Vamlingbo Quartet and Norrköping Symphony Orchestra under the baton of Christian Lindberg. 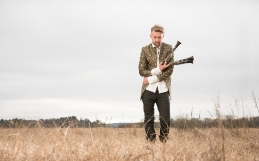 Selected by ECHO (the European Concert Hall Organisation) as one of its ‘Rising Stars’ of the 2009/10 season, the Swedish clarinettist Emil Jonason has become increasingly visible on the international music scene. 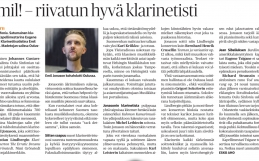 For his first disc on the BIS label he has chosen to record a concerto written for him by his compatriot Christian Lindberg, composer, conductor and legendary trombonist. As Lindberg remarks in his own note on the work, the soloist was involved at all stages of the compositional process. But the Erratic Dreams are the composer’s own – as is the figure of Mr Grönstedt, the main character of those dreams, and of the six movements that make up the colourful score. In his teens, Emil Jonason was attracted by klezmer music, and played in various klezmer bands. 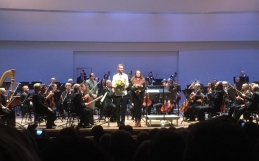 It was therefore a natural choice to combine Lindberg’s concerto with the Argentinian composer Osvaldo Golijov’s work The Dreams and Prayers of Isaac the Blind. In contrast to Lindberg, Golijov found inspiration in a historic figure, the medieval rabbi Isaac the Blind, and his lifelong dedication to the ideas of the Kabbalah. Golijov describes the movements of his work being written in three of the different languages spoken by the Jewish people throughout its history: Aramaic, Yiddish (‘the rich and fragile language of a long exile’) and Hebrew.  The work includes references to Jewish prayers as well as to klezmer tunes and the clarinettist is specifically requested by the composer to acquaint himself with the idiom of klezmer music.